How can you improve collections and reduce risk? Your patients come to see you to improve their health and prevent disease. You can protect your practice the same way! Assessment of coding and reimbursement optimization for your practice follows the same principals you follow in caring for your patients. Many physicians, mid-level providers, practice managers, administrators, billers and front desk staff members have questions about coding. Providing ongoing training in your office makes sense. Your physicians, and your staff, do not have the time to attend a complete coding course, encompassing many areas that do not pertain to your practice. Customized coding sessions are beneficial, and bring immediate relief to your practice's "symptoms." History: observation of office workflow, practitioner charting, charge capture process. Review of the billing system reports. Exam: Chart audit of 10-20 charts per provider to compare actual codes being billed to the supporting documentation. Review of appropriate code level, and verification that all possible charges are being captured for services provided. Decision Making: Provider and Staff education. A one, two, or three hour educational seminar focused on your coding challenges, based on the findings of the assessment audit. Contact Mike Enos, CPC, CPMA, CPC-I, CEMC for a proposal to review your coding and training needs. Risk Management- Could your Coding be Costing your Practice? The relationship between a hospital and physician practices can often lead to important coding and compliance risks falling through the cracks. Day-to-day operational issues, such as variations in paperwork for documenting and coding in hospital-based clinics can have a negative impact on charge capture and documentation completion. This can leave the healthcare system open to penalties in the event of a compliance investigation. Many hospitals fail to provide monitoring, auditing, and education to providers. Provider compensation plans that are based on productivity can lead to a risk in upcoding if they are not monitored. Auditing and monitoring is the first element of a compliance program. The OIG defines an effective compliance program as one that is designed to detect and prevent fraud. Does your compliance program have an audit protocol that will expose hidden problems? The first step in preventing fraud -or financial loss due to under coding- is benchmarking. Monthly productivity reports should be sorted by provider, location, and service types to ensure there are no deviations that could lead to vulnerability. After all, you must measure before you can manage. Analyze the data and compare it to CMS or MGMA benchmarks. Then, look further than the CPT counts to look for uncovered problems beyond the benchmark. Trouble may be hidden outside the “high utilized codes”. Often, only office notes and hospital notes are reviewed. It is common for coders to review a note to ensure that the note supports the code billed. Does the coder also scrutinize the note for “missing codes” to uncover revenue opportunities? Select visits based on benchmark data, and audit notes from various service locations to look for documentation variables. When providers see patients outside of the clinic or office and use alternate methods of documentation, the notes can be incomplete or difficult to access outside of the main hospital site. This can be due to operational issues, staff issues (such as lack of training), or the provider’s unfamiliarity with Electronic Health Records that differ from their main office system. Services provided outside of the office, clinical, or hospital can be especially problematic. Home visits, Nursing Home Visits, Nursing home bedside procedures, and Wound Care Centers are all areas at risk for under documentation due to the reasons above. Satellite offices that do not have access to EHR are also vulnerable for these reasons. Undocumented “extra” services are often found during audits of office notes where the template is optimal for the elements of the Evaluation and Management part of the service, but weak in allowing a provider to document the details of an office procedure. Office procedures that are not thoroughly documented, but only mentioned in the physical exam (pap smear) or worse, in the assessment and plan (debridement was done) are not sufficiently documented. Medical Necessity: Auditors are trained to look for medical necessity, in addition to complete documentation. For example, many providers are required by their hospital to dictate a history and physical prior to admission for surgery. This is normally included in the global surgical package, if done the day before or the day of the surgery. Would it be medically necessary two days before the surgery? Once the surgery is scheduled, use caution when billing for routine services. When is a pre-operative visit a “routine service”? When a surgeon refers a patient to their PCP for a pre-op consultation, Medicare will cover the consultation if it is medically necessary. The history of present illness (HPI) should demonstrate the medical issues that require clearance. The note should also include a review of systems, physical exam, and medical decision making. Auditors also look for complete (and separate) documentation of all office procedures such as wound care. Debridement codes are based on the size of the area of the debridement, and nurse notes cannot be referenced when the performing provider does not document the area of the wound. Procedure notes should be completed by the surgeon. The procedure note should follow the format of an operative note, and include indication, method, supplies used, condition of the patient at the end of the procedure, instructions, and other relevant information. The physician surgically removes foreign matter and contaminated or devitalized subcutaneous tissue (including epidermis and dermis, if performed) caused by injury, infection, wounds (excluding burn wounds), or chronic ulcers. Using a scalpel or dermatome, the physician excises the affected subcutaneous tissue until viable, bleeding tissue is encountered. A topical antibiotic is placed on the wound. A gauze dressing or an occlusive dressing may be placed over the surgical site. Report 11042 for the first 20 sq cm or less and 11045 for each additional 20 sq cm or part thereof. Modifier 25: The OIG Work List often includes review of appropriate use of Modifier -25. The “significant and separately documented” requirement means that the provider must document a complete SOAP note supporting the E/M procedure, and a complete procedure note supporting the office procedure. If the evaluation is related to the procedure, it may be bundled according to the payer reimbursement policies. The procedure note should include the indication, approach, instruments, method, extent, size, patient condition at the end of the procedure, instructions. Incident-To billing for Non-Physician Practitioners (NPP) can result in errors. The most common reasons are the incorrect level of service, and not meeting the ‘direct supervision’ criteria. Most under-coding occurs with NPPs. The selection of the level of service does not vary by provider; it is based on medical necessity which is supported by the history of present illness (HPI), the extent of exam as noted in objective, and the risk as noted in assessment and plan. There is no rule that directs an NPP to down-code services. In an urgent care setting, the staff can be more transient than in an office-based practice. Some audits show that the most established provider is the medical director of the urgent care and is enrolled with insurance carriers, but the NPPs and “moonlighters” were not all credentialed due to high turnover. In many cases, the Incident-to rules were incorrectly used in billing cases under the name of the medical director. Audits showed that the medical director did not sign notes. Medicare requires the physician or non-physician practitioner to review the progress and co-sign the charts. The physician or non-physician practitioner accepts responsibility and liability for the incident-to services. In addition, the performing provider must be an employee of the practice. Auxiliary personnel is defined as any individual who is acting under the supervision of a physician, regardless of whether the individual is an employee, leased employee, or independent contractor of the physician, or of the legal entity that employs or contracts with the physician. Typically, urgent care visits are for initial assessment and treatment of an acute problem such as a viral illness or minor injury. Under the incident-to rule, the physician or non-physician practitioner (NPP) must perform the initial service, diagnose the patient’s medical condition, develop a treatment plan, and remain actively involved in the management of the care of the patient. A service could be considered incident-to when furnished during a course of treatment (e.g., a follow-up visit) where the physician performs an initial service and subsequent services of a frequency which reflects his/her active participation in and management of the course of treatment. Patients do not usually return to the urgent care for follow up, unless they don’t have a primary care physician. Remember: incident-to billing is not appropriate for new patients, or for new problems. According to the OIG, if a physician does a detailed exam during a sick visit, and some of the elements do not appear to be related to the chief complaint, but the code selection is not higher based on the extra elements, this is not a problem. If the code selection is higher based on history and physical exam, the code may be too high if not supported by medical necessity. Nancy M Enos, FACMPE, CPC-I, CEMC is an independent consultant with the MGMA Health Care Consulting Group. Nancy was a practice manager for 18 years before she joined LighthouseMD in 1995 as the Director of Physician Services and Compliance Officer. 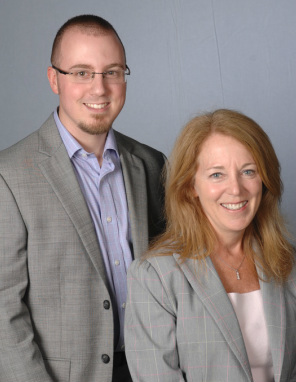 In July 2008 Nancy established an independent consulting practice. As an Approved PMCC Instructor by the American Academy of Professional Coders, Nancy provides coding certification courses and consultative services. Nancy frequently speaks on coding, compliance and reimbursement issues. Nancy is a Fellow of the American College of Medical Practice Executives. She is a Past President of MA/RI MGMA. Mike Enos, CPC, CPMA, CPC-I, CEMC has over 15 years of experience in the medical coding, billing compliance, and revenue cycle management field. Mike has contributed articles to Medical Economics and MGMA Connection Magazine, presented at Regional and National MGMA Conferences, AAPC Chapter Meetings, and the New England Quality Care Alliance (NEQCA) Fall Forum. He has joined the MGMA Health Care Consultant Group, and is a partner in Enos Medical Coding.